Sony KDL-32WD603 review | What Hi-Fi? 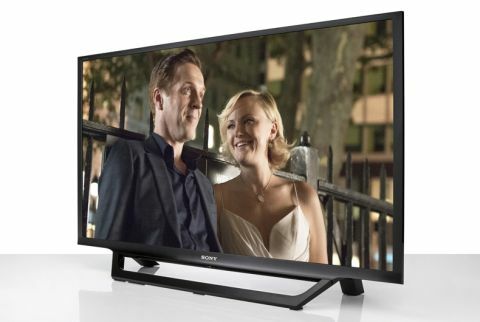 If you’re looking for a good 32in TV on a budget, buy the Sony KDL-32WD603. It really is that simple. This £300 screen has HD Ready resolution, a Freeview HD tuner, wi-fi, and even comes with Netflix and BBC iPlayer. More importantly, its picture quality is superb for the money. It seems odd to be praising an HD Ready picture, when stunning Ultra HD 4K TVs are all around us, but the Sony KDL-32WD603 delivers such a natural, detailed and well-balanced screen for its price that we find ourselves simply enjoying the TV without counting pixels. The relatively small screen size no doubt helps. Play Mad Max: Fury Road on Blu-ray (which is admirably downscaled to fit the Sony’s resolution), and you get a sense of the angry orange heat of the wasteland, and the rough textures of sand. While it’s not quite as crisply focused as a Full HD screen, the picture is still clear and there’s an abundance of detail. Strands of hair are distinguishable, wrinkles on people’s faces look natural, and the textures of clothes are easily conveyed by the Sony’s talented little screen. It’s the black depth, and the accompanying intensity of anything bright against it, that earns the Sony its five stars. Blacks are deep and solid, but there’s also so much subtlety seen in the shadows. The blackness doesn’t swallow up details as it does on the LG, and they remain consistent throughout dark and daylight scenes alike (unlike on the Panasonic TX-32DS500B). The interior scenes in Firefly can easily look gloomy and a mess of shadows on lesser screens, but the Sony does a great job of showing off the details of crates, ropes and the rusty metal textures of the ship, even as the foreground details of characters and special effects look vibrant and punchy. The depth it lends to scenes is alluring, allowing characters to look three-dimensional against backgrounds without looking like CGI cut-outs. Whites are clean and bright objects – lamps, flares, stars – have a believable intensity. The contrast is undoubtedly exciting, and it resists the urge to be overblown. Colours are beautifully balanced: blue skies look as believable as a well-worn red shirt. There’s so much subtlety in shading that the KDL-32WD603 manages to dig out. The Sony doesn’t try to gloss over any detail or shade to make it look more appealing; it just delivers the picture as naturally as possible. That same appealing character comes through when watching re-runs of Friends on Freeview HD, and apart from a softening around the edges, the picture remains a stable and entertaining watch. There’s not much to complain about with picture quality, but the Sony’s sound is on the thin and reedy side. There’s little weight and heft to the sound, which puts the focus on the bright top end. However, a good amount of detail keeps us listening, as voices cut through sound effects clearly and convey plenty of expression. We have heard better, more full-bodied sound from rival 32in TVs (such as the LG 32LH604V and the Panasonic TX-32DS500B), and both of them are more comfortable to listen to. We would consider pairing the Sony with a soundbar or a pair of powered budget stereo speakers for a bigger and more enveloping sound, especially if you’ll be watching more films than news. Sony has kept things simple on the KDL-32WD603, with two HDMI inputs, two USB ports, and an optical output available on the back panel. We’d like just one more HDMI input, especially if you’ve got a Blu-ray/DVD player, a games console and a Sky box to juggle. Netflix and BBC iPlayer are the essential video apps you’ll find on the Sony. There’s no sign of Amazon Instant Video, which is a shame if you’re after more original TV content than Netflix. Unlike the Panasonic TX-32DS500B (£300), Sony doesn’t include the full selection of UK’s TV catch-up services – there’s no ITV Hub or All 4. At least you get iPlayer and Demand 5 on the 32in TV, though. Connecting to your home’s network takes a matter of seconds, whether you’re using the wired ethernet connection or Sony’s built-in wi-fi. Both methods prove stable when watching YouTube videos. It may be only a 32in HD Ready screen, but this budget Sony is a smart looking set. It’s a slim, flatscreen TV for starters, which makes it stand out against the chunky sets at this budget price. LG and Panasonic’s 32in TVs aren’t poorly built at all, but the Sony’s build quality feels a notch above theirs. The slim black bezel surrounding the screen isn’t intrusive, and the sturdy stand is easy to slot in. On the other hand, that slimness does go some way to explaining why the Sony’s sound quality is on the lean side. What warms us to this Sony TV is just how easy it is to use. The simple interface may not be as visually exciting as LG’s WebOS, but it does one crucial thing right: it just works. There aren’t any hiccups or lags; scrolling through the TV guide is quick and smooth; and the remote control works responsively with the TV. There isn’t even a central smart hub screen. Pressing ‘Home’ on the remote pulls up a black and white sidebar with a list of options for TV guide, inputs list, settings and apps. It’s an unfussy system that just works – which is exactly what you want. One small niggle is that you can’t tweak picture settings while watching iPlayer (trying to access the home menu automatically exits any app on screen). It’s not a massive issue, it just means you’re stuck with a slightly overblown picture – even after you’ve gone through the trouble of adjusting the Sony’s picture. But when there’s so much we like about the Sony KDL-32WD603, that’s a minor complaint. Its natural picture quality and ease of use wins out against any downsides. It’s a lovely TV to live with, and its picture quality is so good that we didn’t even notice we were watching a 32in HD Ready TV. If you’re looking for a small TV on a budget – this is the one you want.